This is the last puzzle piece to make your home complete! 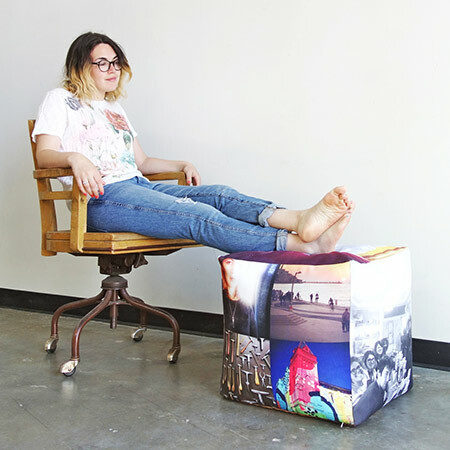 The Ottoman — or Photo-man — as we like to call it, is a hefty 18 × 18 inch stuffed cube that can be used in so many ways. It makes an absolutely wonderful foot rest, it can also be used as seating, or even a side table! Throw a tray on there and your coffee mug has its new favorite hang out. 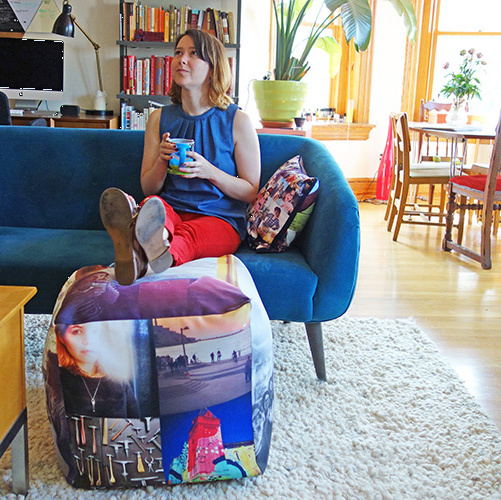 It is sewn out of sturdy 100% Polyester Poplin, with a separate bean-bag like insert full ofp polystyrene beads. Each side (except the bottom) allows for one or four photos of your choice. 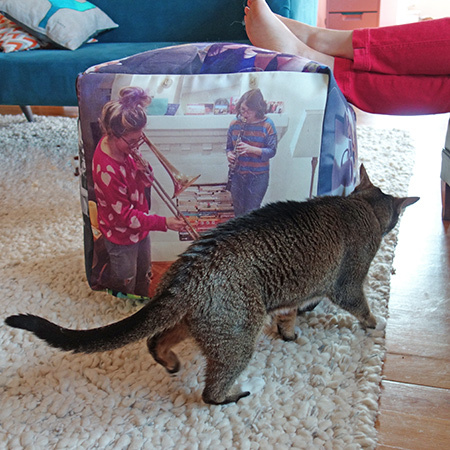 Please allow an additional 2 - 3 weeks for us to create your ottoman.